The 1st colour changing cheek stick for a naturally flushed look from within! 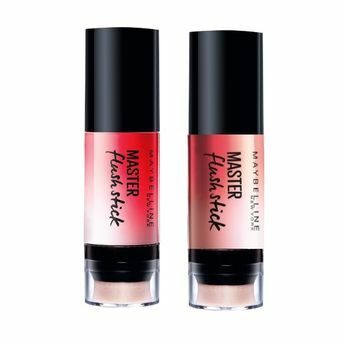 Maybelline's first colour changing blush stick that self adjusts. The 1st ever customize cheek tint for the perfect flush. The pH reactive colorant creates unique flush colours on your skin. The soft sponge applicator helps to blend easily for a natural finish. Sweep on blush to brighten your face instantly for a fresher look. Wear blush over foundation or just over bare cheeks for a quick pop of color. You can even wear it on your eyes and lips too! Whatever your skin tone, Maybelline New York makes a shade that will blend beautifully. Creamy blush that self adjusts to your skin tone. Gives a naturally flushed look from within. Blends according to your skin pH level giving a natural finish. Ensures smooth, even application with cushion blending sponge on one end.